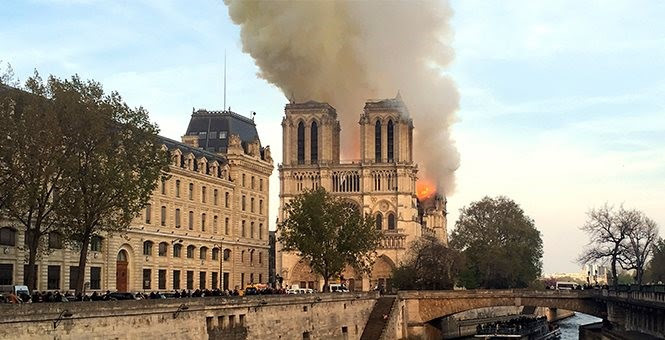 Why Notre Dame burns: An omen? My wife Cindy and I have been guests at several of Dennis and Sue Prager’s Shabbat dinners. [Needless to say that the Pragers are Jewish.] Dennis wrote an insightful article concerning the problems facing Europe and Western civilization. It is titled Notre Dame: An Omen and is reprinted in its entirety below. Let’s be clear: Mayor Buttigieg is as hard left as any of the other Democrat presidential candidates, most notably Bernie Sanders. His only chance to come through in the Midwest and the South will be to rewrite the Bible so as to vindicate his lifestyle. Hence, his undue focus on the vice-president. Unless broken by Christ’s intervention. Praise be to God for the good news that Gideons and Rahabs are beginning to stand. 2. Proverbs 8:15 [English Standard Version]. 3. ‘He know better’; article in The Washington Post, April 11, 2019. Every major Western [and one major non-Western] social and intellectual force has conspired to rid Europe of Christianity and the civilization it produced. Within the Western world, the French Enlightenment – the intellectual basis of the French Revolution and the modern West – sought to replace Christianity, and religion in general, with secularism rooted in reason. No God, Bible or Ten Commandments is necessary for morality or meaning: reason [and science] will replace them. This is not producing a pretty picture. Generally speaking, Islam has not been nearly as kind, tolerant, open, medically or scientifically innovative or intellectually curious as Western civilization [and yes, Nazism and communism were born in the West, but they were anti-Western]. 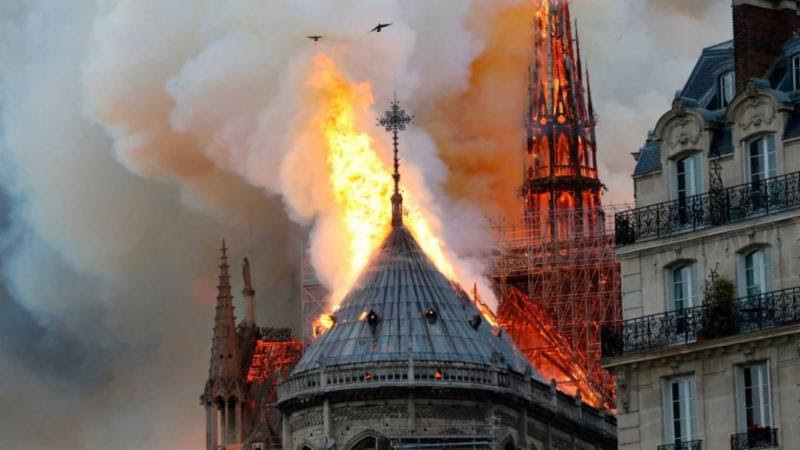 I don’t know if a worker accident or a radical Muslim set fire to Notre Dame Cathedral [as they have scores of other churches around Europe]. In terms of what the fire represented, it doesn’t much matter. What matters is the omen: Europe is burning, just as Notre Dame was. Yes, by that I mean the leader of the UK’s Labour Party, Jeremy Corbyn, who in his nearly four years at the helm, has taken an extreme left turn along the progressive highway. At times, Labour has bizarrely become apologists for Hamas and shown a shameless acceptance of antisemitism within its ranks. With the recent midterm elections in the United States, an American analog has been discovered within the Democratic Party. The Progressives are Coming! The Progressives are Coming! Paul Revere would have surely taken to his horse to deliver the warning that a new British import was arriving, if it hasn’t already been dangerously underway. Democrats are about to confront their very own Darkest Hour. It started with what to do with Ilhan Omar, a freshly minted Minnesota lawmaker whose views about Israel, and American Jewry, are medieval in outlook and antisemitic at their core. She’s also among the new wave of progressive candidates that now have seats in Congress. Does this variant of progressivism, inspired by income equality and the demand for free tuition and universal healthcare, also include yet another plank–an antisemitic agenda masked, hypocritically, as anti-colonialism directed solely at the Jewish state? 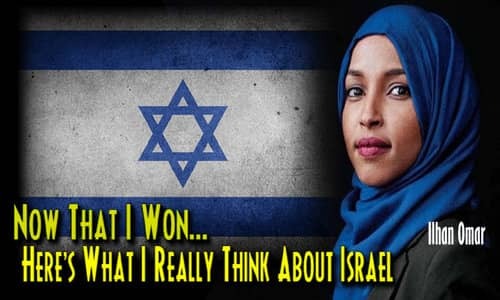 Once assuming her new position in Congress, she almost instantly tweeted how American support for Israel was “all about the Benjamins baby”–a reference to the hundred-dollar bill. She later apologized for these missteps, even though she was quickly trading again in antisemitic tropes, yielding no time to fellow colleagues. That’s right: the Jewish lobby pulls the strings in Congress; Jews have conflicted loyalties, with America of lesser importance to a people with eyes only for the Middle East; and Jewish money buys influence in ways that guns, teachers and tobacco could never possibly enjoy. In King’s case, given the grotesqueness of his past remarks, that presumption may have been deserved. Omar is a dark-skinned Muslim woman. Among the new progressives, assisted by their intersectional compatriots on college campuses, marginalized people of color are, generally, excused from moral accountability–apologies are never necessary, ill-chosen words are never to be retracted, hatefulness is explained away, violence conveniently overlooked. Progressivism of this sort is, ultimately, racist in its own right–the infantilizing of marginalized groups, treating them as if they are incapable of upholding standards. Which leads to a double standard: King was irredeemably demonic; Omar was merely mistaken, immune from censure or even a mild rebuke. Congressional Majority Whip James Clyburn suggested that Omar had the moral authority to say almost anything–more so than children and grandchildren of Holocaust survivors–since she spent part of her childhood in a Kenyan refugee camp after escaping with her family from war-torn Somalia. For his part, Corbyn has said that British Zionists are without “English irony”; he invited a Palestinian Islamist who claimed that Jews were absent from the World Trade Center on 9/11 to address Parliament; and in 2014, he participated in a ceremony honoring those Palestinians who massacred nearly the entire Israeli team during the 1972 Olympics in Munich. Luciana Berger, a Jewish member of the British Parliament, has left the Labour Party and helped form another one. Eight other Labour MPs have abandoned their party in protest over Corbyn’s antics and excusal of fellow travelers in antisemitism. Originally published at the Algemeiner.com – reposted with permission. Omar came under criticism in January for tweets she had made regarding Israel. She then waded deeper into the fevered anti-Semitic swamps in February, tweeting about pro-Israel lobbying group AIPAC (the American Israel Public Affairs Committee) buying political influence, plugging into an age-old anti-Semitic trope about Jews, money, and power. In February, Omar tweeted “It’s all about the Benjamins baby,” referring to the $100 bill that features Benjamin Franklin’s likeness. Omar made the reference in regards to House Minority Leader Kevin McCarthy’s threat to punish her and her colleague, Muslim Rep. Rashida Tlaib, (D., Mich.), who had also made anti-Israel remarks and continued to promote Boycott, Divestment, and Sanctions (BDS)against Israel. When President Barack Obama was in office, he lied to America about our “Muslim” and “Islamic” heritage. Now, students in elementary school from grades Kindergarten through twelve, are becoming thoroughly brainwashed with the greatness of socialism. This political mindset appears to have hijacked the Democratic Party. Are we to become the United Socialistic States of America? (USSA) Heaven forbid. 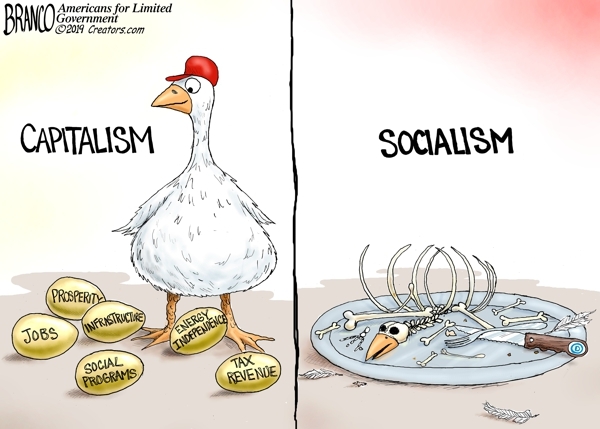 Socialism’s track record is 100% failure, that only a totally ignorant populace would approve of. I am glad that I am now a senior citizen as I see our nation slowly plummeting and unraveling; yet I feel remorse for the younger people, as I sense what is coming down the pike. If the Lord tarries, Sharia Law will continue to make great strides in America, due simply to huge shifts in demographics and population. Our populace needs 2.3 people per family in order to maintain our country. We are not even close. Muslims have huge families, hence they have already claimed the entire West. Unless the Lord intercedes, our fate as a nation seems sealed, just like Europe. Our hope? Revival of course. Hamtramck, Michigan recently became the first town in America with a Muslim-majority city council, and their actions are causing concern among the town’s non-Muslims. [Mayor] Majewski, whose family emigrated from Poland in the early 20th century, admitted to a few concerns of her own. Business owners within 500 feet of one of Hamtramck’s four mosques can’t obtain a liquor license, she complained, a notable development in a place that flouted Prohibition-era laws by openly operating bars. The restrictions could thwart efforts to create an entertainment hub downtown, said the pro-commerce mayor. And while Majewski advocated allowing mosques to issue calls to prayer, she understands why some longtime residents are struggling to adjust to the sound that echos through the city’s streets five times each day. They may not have asked for the religious views of their voters, but their actions as legislators make their religion more than clear. They’re taking the first steps to solidify their Muslim belief into local law, and no one has the power to stop them. Sheikh Ahmed al-Tayeb is considered to be the most important imam in Sunni Islam, and he arrived at the signing ceremony in Abu Dhabi with Pope Francis “hand-in-hand in a symbol of interfaith brotherhood”. 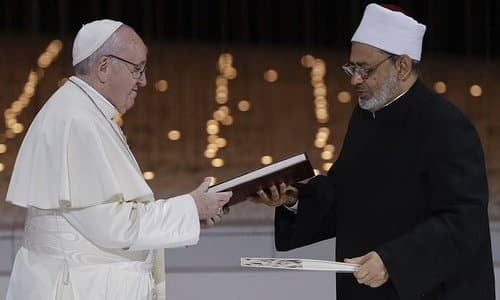 The document, signed by Pope Francis and the Grand Imam of al-Azhar, Ahmed el-Tayeb, was prepared “with much reflection and prayer”, the Pope said. The one great danger at this moment, he continued, is “destruction, war, hatred between us.” “If we believers are not able to shake hands, embrace one another, kiss one another, and even pray, our faith will be defeated”, he said. Over and over again, the word “God” is used to simultaneously identify Allah and the God of Christianity. We know that the elite want a one-world religion, but to see the most important clerics from both Catholicism and Islam make such a dramatic public push for it is absolutely stunning. In the name of God and of everything stated thus far, Al-Azhar al-Sharif and the Muslims of the East and West, together with the Catholic Church and the Catholics of the East and West, declare the adoption of a culture of dialogue as the path, mutual cooperation as the code of conduct, reciprocal understanding as the method and standard. History shows that religious extremism, national extremism and also intolerance have produced in the world, be it in the East or West, what might be referred to as signs of a “third world war being fought piecemeal”. In several parts of the world and in many tragic circumstances these signs have begun to be painfully apparent, as in those situations where the precise number of victims, widows and orphans is unknown. We see, in addition, other regions preparing to become theaters of new conflicts, with outbreaks of tension and a build-up of arms and ammunition, and all this in a global context overshadowed by uncertainty, disillusionment, fear of the future, and controlled by narrow-minded economic interests. We likewise affirm that major political crises, situations of injustice and lack of equitable distribution of natural resources—which only a rich minority benefit from, to the detriment of the majority of the peoples of the earth—have generated, and continue to generate, vast numbers of poor, infirm and deceased persons. This leads to catastrophic crises that various countries have fallen victim to despite their natural resources and the resourcefulness of young people which characterize these nations. In the face of such crises that result in the deaths of millions of children—wasted away from poverty and hunger—there is an unacceptable silence on the international level. It is clear in this context how the family as the fundamental nucleus of society and humanity is essential in bringing children into the world, raising them, educating them, and providing them with a solid moral formation and domestic security. To attack the institution of the family, to regard it with contempt or to doubt its important role, is one of the most threatening evils of our era. We affirm also the importance of awakening religious awareness and the need to revive this awareness in the hearts of new generations through sound education and an adherence to moral values and upright religious teachings. In this way we can confront tendencies that are individualistic, selfish, conflicting and also address radicalism and blind extremism in all its forms and expressions. The first and most important aim of religions is to believe in God, to honor Him and to invite all men and women to believe that this universe depends on a God who governs it. He is the Creator who has formed us with His divine wisdom and has granted us the gift of life to protect it. It is a gift that no one has the right to take away, threaten or manipulate to suit oneself. Indeed, everyone must safeguard this gift of life from its beginning up to its natural end. We, therefore, condemn all those practices that are a threat to life such as genocide, acts of terrorism, forced displacement, human trafficking, abortion and euthanasia. We likewise condemn the policies that promote these practices. Moreover, we resolutely declare that religions must never incite war, hateful attitudes, hostility and extremism, nor must they incite violence or the shedding of blood. These tragic realities are the consequence of a deviation from religious teachings. They result from a political manipulation of religions and from interpretations made by religious groups who, in the course of history, have taken advantage of the power of religious sentiment in the hearts of men and women in order to make them act in a way that has nothing to do with the truth of religion. This is done for the purpose of achieving objectives that are political, economic, worldly and short-sighted. We thus call upon all concerned to stop using religions to incite hatred, violence, extremism and blind fanaticism, and to refrain from using the name of God to justify acts of murder, exile, terrorism and oppression. We ask this on the basis of our common belief in God, who did not create men and women to be killed or to fight one another, nor to be tortured or humiliated in their lives and circumstances. God, the Almighty, has no need to be defended by anyone and does not want His name to be used to terrorize people. – The protection of the rights of the elderly, the weak, the disabled and the oppressed is a religious and social obligation that must be guaranteed and defended through strict legislation and the implementation of the relevant international agreements. —this declaration may constitute an invitation to reconciliation and fraternity among all believers, indeed among believers and non-believers, and among all people of good will. —this declaration may be an appeal to every upright conscience that rejects deplorable violence and blind extremism, an appeal to those who cherish the values of tolerance and fraternity that are promoted and encouraged by religions. —this declaration may be a witness to the greatness of faith in God that unites divided hearts and elevates the human soul. —this declaration may be a sign of the closeness between East and West, between North and South, and between all who believe that God has created us to understand one another, cooperate with one another and live as brothers and sisters who love one another. Ilhan Abdullahi Omar (born October 4, 1981) is a Somali-American politician serving as the U.S. Representative for Minnesota’s 5th congressional district since 2019…. Americans are nervous that these patrols are just to enforce Sharia Law, which seems to be the case. The examples given in the video below in other parts of the world show what the goal of this patrol is. Americans should not need to live in fear. These Muslims are trying to impose a law on Americans that is oppressive and goes against people’s freedoms. And there have been other situations in New York that make New York feel like Muslims are crossing lines and going against American law. Moore, a former Democratic staffer, serves on the Evangelical Immigration Table, which is an organization bought, paid for, and founded by George Soros and is an invention of Soros’ National Immigration Forum. Both are a part of Soros’ Open Societies Foundation, a globalist organization run by the billionaire whose ambition it is to dismantle American sovereignty and the nation-state.